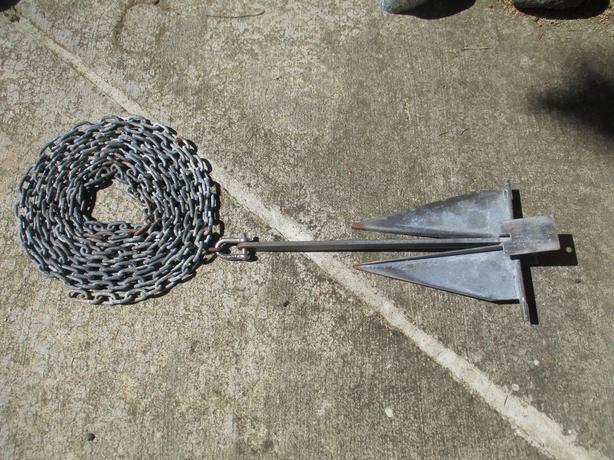 We have a 8 Ib galvanized Danforth anchor for sale with 28ft of 1/4" galvanized chain and stainless clevis. This anchor features wide flukes for fast and deep penetration, and superior hold down power. Suitable for boats up to 24ft in length. Please email to navydave360@gmail.com for more info. Please also check our sellers list for other items. Thanks.